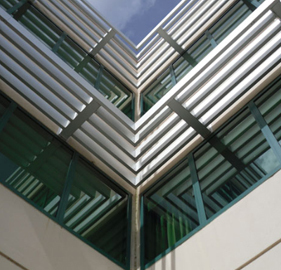 Sunshades are a wonderful addition to any type of building, giving you a cost effective way to enhance your structure both visually and functionally. 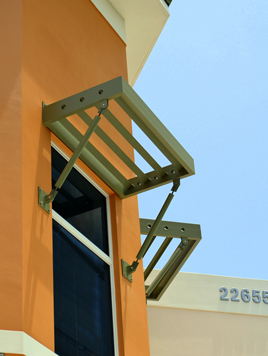 Not only do sunshades offer an aesthetic enhancement to your existing project, but they also have a variety of added customization benefits to achieve a desired look and feel, as well as a positive environmental impact. Providing your structure with an enhanced look, they are both cost-effective and flexible in design. 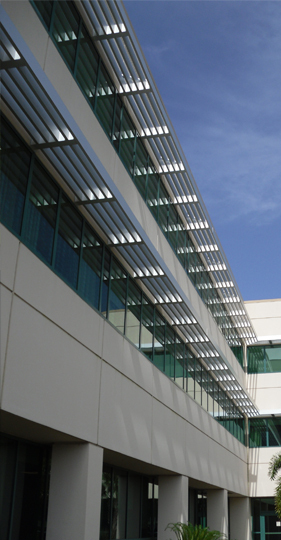 The energy-saving benefits of sunshades gives you the opportunity to decrease sun absorption by up to 60%, and reduce the amount of heat that your building absorbs. Less energy is used to constantly run the air conditioner, which can result in lower energy bills and can reduce your environmental footprint. 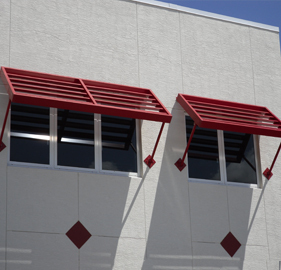 Sunshades can be installed almost anywhere to give your building a unique look, paired with money-saving and environmental benefits. Sunshades are affordable and lightweight, and can be designed and colored to match the look of your building or business for added personalization. Whether you are looking for a sunshade for aesthetic purposes or for money saving benefits, you will be guaranteed a strong, durable and cost-effective product that will be custom designed for your needs. Perfection Architectural Systems provides aluminum awning and sunshade structures for commercial businesses, and can design a sunshade solution for any project. Call us today at 800-238-7207 to learn more about the services we offer.